Our solar system is the product of impact events, but while asteroid strikes with major consequences like the dinosaur extinction have decreased significantly in the last hundred million years, this era of relative calm is just an illusion. A catastrophic asteroid strike will occur in the future. The question is — what is science prepared to do about it? While Hollywood has a few ideas about deflecting asteroids, experts suggest that what’s theorized on the big screen is amusing pseudoscience at best and disastrous at worst. Blowing up an asteroid with a nuclear weapon would only result in a storm of smaller, yet still devastating impacts, and what’s worse, researchers now know that asteroids are so much stronger than once imagined that the idea is now little more than a last-ditch option. What else does science have up its sleeve? These are a few options. The key to changing an asteroid’s trajectory is to change its mass. Researchers suggest that a space-based laser system could pare off enough material off of an asteroid’s surface to adjust its course. Partially covering an asteroid’s surface with a shiny fabric like Mylar would give it reflectivity and encourage solar pressure to nudge it in a different direction. Like a laser, mirrors mounted on a swarm of tiny spacecraft could, together, use light to vaporize enough surface rock to create a plume of superheated debris that could act as a jet-pack, changing an asteroid’s orbit. Attaching a propulsion device to an asteroid’s surface is an idea that’s gaining ground. Today’s rocket motors are strong enough to, in time, pull asteroids away from a collision course with Earth. Solar sails can propel spacecraft by harnessing the radiation pressure of sunlight. It’s a low-tech approach, but if they can move small satellites, a proven concept, a larger version could one day save the planet. 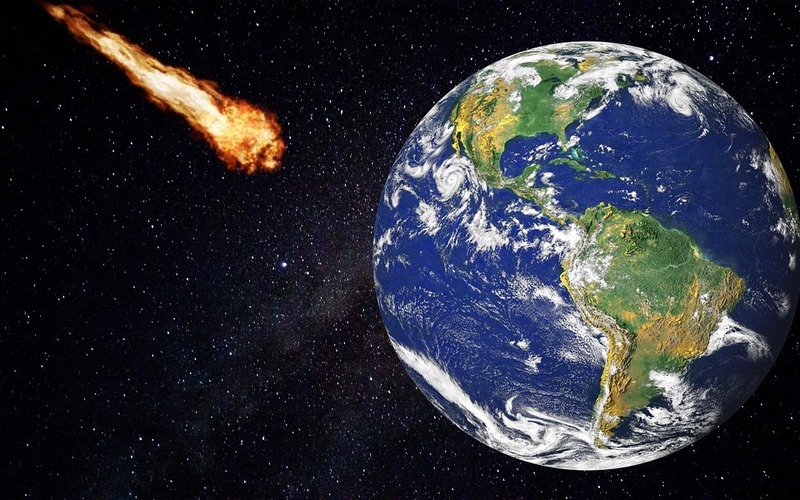 Astronomers say everyone can relax for now — there are no city-sized asteroids barreling toward Earth, but while humankind can accept that with gratitude, it should look forward with certitude that it’s not a matter of if, but when a cataclysmic strike occurs again.